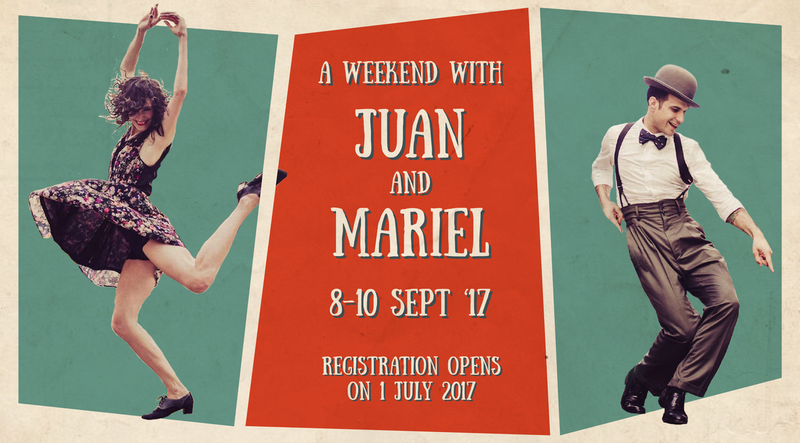 We are very delighted to have Juan back in KL again and this time with his dance partner Mariel! 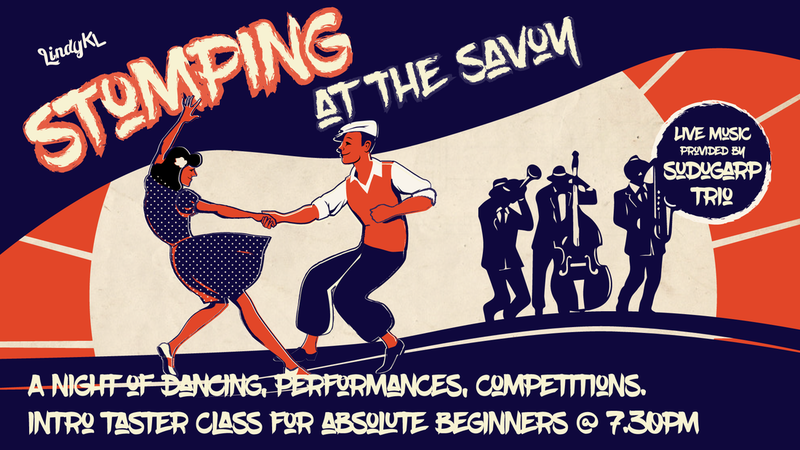 Take this opportunity to learn from these world class international Lindy Hop instructors and level up your Lindy game! There's something for everyone across the different dance experience levels. Feel free to reach us at lindyhopkl@gmail.com if you need more info! You have been dancing Lindy Hop for at least 4-6 months and up to 1 year. You try to attend as much social dances as you can and you enjoy it. You are eager to work on your basic footwork and to learn new moves. You have taken a beginners class or workshop and are looking for more ways to improve your dance. You may also be wanting to pick up the dance again and solidifying your basics. You recognise these names: Billie Holiday, Frankie Manning, Count Basie. You have been dancing Lindy Hop for at least 2-3 years, regularly attend social dances and have attended swing dance camps. You are confident in your role in the dance partnership, understand musical phrasing and connection with the music as well as with your partner. You are improvising with moves and rhythms in your dance. You want to learn more concepts than moves. You recognise these names without Googling: Fats Waller, Lionel Hampton, Frida Segerdahl. It's about you and working together with your partner. During this class you will deep dive into techniques, body awareness and organic movements. You will learn the art of teamwork so you can dance at any tempo as a dazzling duo! Master rhythm variations and apply them into your dancing to create your own footwork or/and swing out variations that match the melody. At the end of the class, you'll understand how to "hit the breaks" and add to your repertoire of rhythmical ideas. Your ears and feet will be working real hard! Up your connection by immersing yourself in the language of partner dancing. Learn how to create a dialogue between you and your partner to react organically to the music. While there'll be a lot of "feels" in this class, make sure to free up some mental space for more concepts and techniques! It's time to get creative. For more than a full hour, you'll be learning how to use choreography as a process to pin point your flaws and make improvements. The goal is to continuously build your Lindy vocabulary and draw inspiration from improvising. Juan Villafane is a world-renowned swing dancer, teacher and performer specialised in Lindy Hop & Authentic Jazz. Born and raised in Buenos Aires, Argentina, he had been dancing for the last 16 years, teaching, competing and performing at some of the most important Lindy Hop events around the world, in the United States, Europe, Asia & Australia. After a very successful international career with his former dance partner Sharon Davis, he decided to go back to Buenos Aires where he funded and co-directs SwingCity (www.swingcity.com.ar), the biggest swing dance school in SouthAmerica. Nowadays, Juan travels abroad to teach only twice a year in tours of 4 to 6 weeks. If your city happens to be in the list, don't miss your opportunity! Mariel started dancing Lindy Hop in 2004, when she was 14. Since that time she dedicated herself to dance Lindy Hop, Authentic Jazz and Tap and at the same time she learned different styles like jazz dance, classical, contemporary, african dance and tango. ​She also studied music at the Municipal Conservatory of Buenos Aires, and later on she focused her training in swing music. She plays clarinet and sings. She started teaching Lindy Hop and Tap in Buenos Aires when she was 18 and three years later she was teaching and dancing around the world. Along with Juan Villafañe and Manuel Bicain, she is the producer of Swingin’ Party, the biggest party in South America, CA.PO.S, (the Buenos Aires Swing Dance Championships) and Swing City, the first Lindy Hop, Authentic Jazz and Tap school in Argentina. Mariel teaches regular classes in Swing City and workshops in several countries, and she is one of the main referents in South America. Your spot will only be secured when payment is made. Upon registration we will be sending you a confirmation email with the payment details! Can I only sign up for 1 class? Unfortunately this option is not available and you would have to do the whole track. Jumping tracks are also not advisable. Can I only come for parties? Yes you can! Party Passes are at RM70 online (until 9 Sept, 12 midnight) and RM85 at the door.